I learned the importance of shaping and defining my eyebrows quite late already and it has always been a challenge because my eyebrows are thin and sparse. I’d spend the longest amount of time filling in my brows when doing my regular makeup which normally consists of just BB cream, concealer, setting powder, a swipe of blush and lip gloss. Part of that challenge is getting the right shade and making it look natural which is difficult to achieve given my very limited makeup skills so choosing the right eyebrow makeup is key. I was browsing through Kokumin’s makeup section in Umeda, Osaka last month when I chanced upon a 20% discount sale on KATE cosmetics. 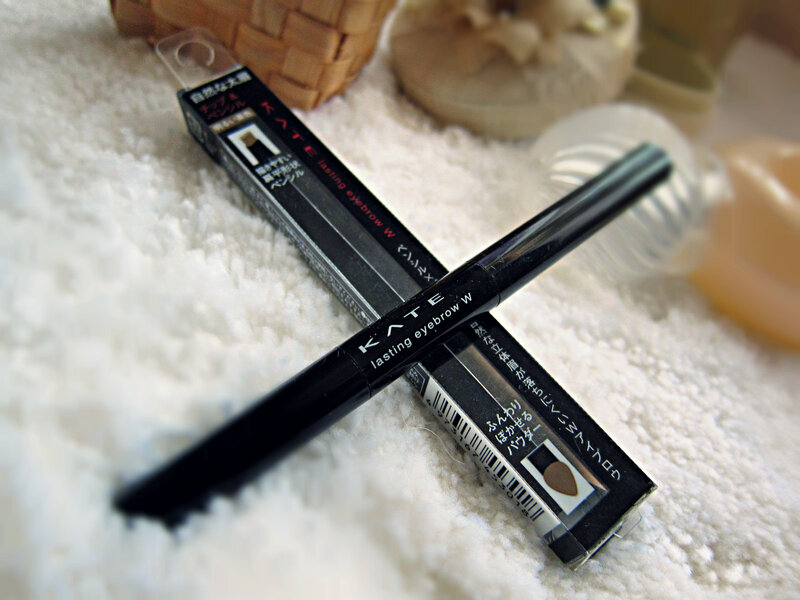 I’ve been looking for a good eyebrow makeup that’s cheap and easy to use so I picked up for myself KATE’s Lasting Eyebrow W.
With it’s twist-retractable eye pencil, you save yourself the trouble of sharpening it and keeping it clean and covered. 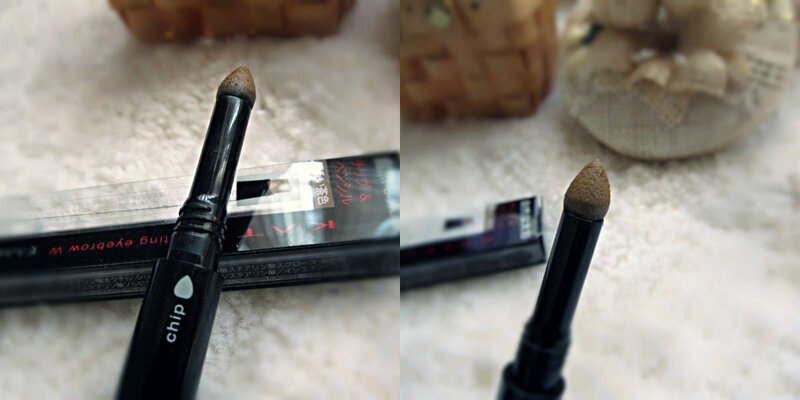 The square tip helps evenly distribute the pigment to achieve a natural looking shade. 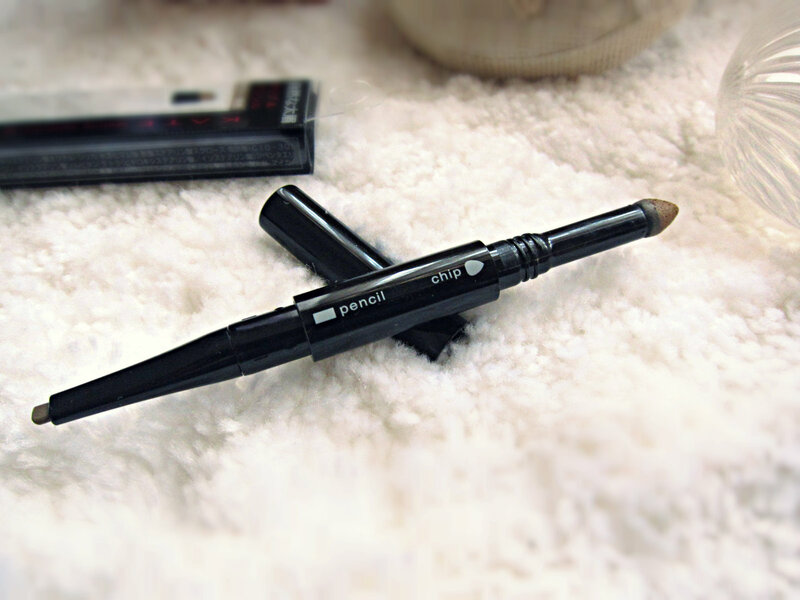 It also glides easily and is not too waxy so you won’t get clumps of the product on your brows. 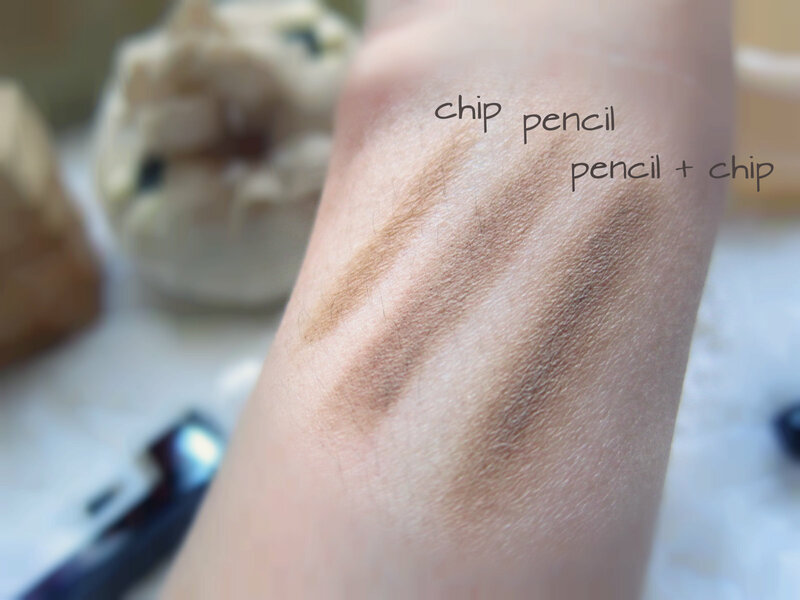 On the other end is the chip used to blur out any harsh edges or achieve that gradient hue. 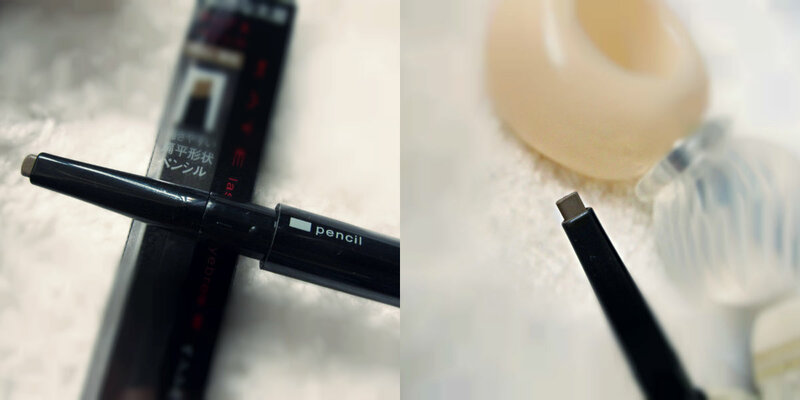 I like gliding this lightly over my brows to soften the intensity of the pencil. It seals in the pencil acting like a finishing powder. It sort of gives your eyebrows a clean finish like it’s been airbrushed. Here are some swatches for KATE Lasting Eyebrow W in BR-1. It has cut my eyebrow filling/shaping duty to almost half and it lasts for 6-8 hours or less in high humidity. I’ve been using this eyebrow makeup and I’ll definitely visit the KATE counter again. KATE counters are available in select malls and department stores in the Philippines. Unfortunately, I wasn’t able to check out the price for this particular product. How do you shape or fill your brows? click on comments to share your thoughts. I just love KATE products but it’s pretty pricey in Malaysia. I prefer to use eyebrow pencil pencil to fill in the gap and create the sharp edge on my eyebrow tail. Most of the makeup artists told me that the chip does not enhance the shape of the eyebrow but I would use it for setting up my eyebrow for the airbrush effect! Hard not to lovely products with my name on! Hahaha! Oh Yeah 🙂 They sure did choose a good name. Thanks for dropping by.